Funeral service will be at 11:00 AM on Monday, April 15th at Trinity Lutheran Church with Rev. Constanze Hagmaier officiating. Visitation will be 3-7 PM on Sunday at Weiland Funeral Chapel with the family present from 5-7 PM concluding with a prayer service at 7 PM. Visitation will continue on Monday one hour prior at the church. Burial will be in Lake Madison Lutheran Cemetery at a later date. Dan was born the youngest of five children on November 1, 1950 to Eldyn & Ellen (Larson) Bruns. He was baptized and confirmed at Lake Madison Lutheran Church. In 1969, he graduated from Madison High School and shortly thereafter, he was drafted by the US Army. After basic training, he received a medical discharge and returned home to farm near Madison with his dad. On August 19, 1972, he married Linda Bachmann and to this union three children were born. Dan partnered with his brother, Ron in 1972 and began raising registered Angus cattle in Baltic, SD. Dan & Linda moved back to Madison in 1978 and continued to grow their Angus herd and began farming again with his Dad and brother, Bill. 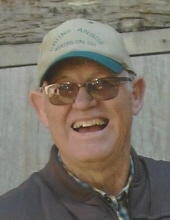 With the help of his sons, Dan has held an annual bull sale at his farm north of Madison and sadly, Dan attended his last bull sale on March 6, 2019. He was a lifetime member of the American Angus Association and was honored recently by the SE Angus Association for his distinguished service and relentless dedication to the Angus Breed and the Southeast SD Angus Association. Dan once said “when I retire I am going to every bull sale in the Midwest” and he has attended many during the last few years. For 25 years, Dan has been a dealer of Gallagher Fence Systems. He was an avid Twins baseball fan, along with the Minnesota Vikings, SDSU sports and the Madison Bulldogs. He rarely missed a school event that his children and now grandchildren are involved in. In his younger years, he played fast-pitch softball for his “Center Team” and the “Cocktail Team.” He enjoyed bowling on men’s and mixed leagues with his wife until his health began to decline. He especially enjoyed coffee in the morning with his friends at the Ramona Elevator. Dan is a member of Trinity Lutheran Church in Madison and has been on the Farmington Township Board for many years. Thankful for sharing his life is his wife of 46 ½ years, Linda (Bachmann) Bruns, three children, Don Bruns Jesse (Kari) Bruns, Kaylynn Bruns-Cooney (Chad); his beloved grandchildren, Kade & Jace Bruns and Addison & Paislee Cooney all of Madison, SD; three brothers, Ron Bruns of Baltic, SD, Gary Bruns of Floresville, TX and Bill (Diane) Bruns of Madison; brother-in-law, Keith Gates of Pella, IA; sister-in-law & brother-in-law, Crystal (Kevin) Manthey of Bonesteel, SD and sister-in-law, Dawn Holley (Chris Clark) of Prescott, AZ and many nieces, nephews, cousins, aunts and uncles. And one special nephew, Matthew Bruns, who was especially dear to him. And last but not least, his four-legged best friend, Corky! He was preceded in death by his parents; his mother-in-law & father-in-law, Don & Ardeth Bachmann; sister, Gloria (Bruns) Gates and sister-in-law, Gwen Bruns. There were many things that Dan was passionate about and the ones he will be remembered for are his love for his family, his grandchildren, his dogs and his love of the Angus breed. Memorials can be directed to: SD Jr. Angus Association, 41785 109th St., Britton, SD 57430; Trinity Lutheran Church, “I am In” Fund, 203 N. Harth Ave., Madison, SD 57042; Madison Educational Foundation, 800 NE 9th St., Madison, SD 57042 or donor’s choice. To send flowers or a remembrance gift to the family of Daniel Bruns, please visit our Tribute Store. Family will be present from 5- 7 PM. "Email Address" would like to share the life celebration of Daniel Bruns. Click on the "link" to go to share a favorite memory or leave a condolence message for the family.